Subscribe and join our community. When it comes to cleaning a home, most everyone in the family can pitch in, even the toddlers, who love to feel like they’re helping out mom and dad. But your kiddos don’t always see it that way. If it were up to them, they probably would never put their things away. Parents know all too well how difficult it can be to get them to take responsibility for their messes and help, but it is possible. The first step is to make a list of clear directions along with the consequences for not following them. Children need to know the realities of what happens when clothes are put away or dishes aren’t cleared from the table. It’s hard to allow them to fail, but one morning I chose not to step in when I noticed my teenager decided to skip her kitchen duty that day. She told me she wanted to wait until later. When lunchtime came, we didn’t have clean dishes for lunch. We all pitched in to wash dishes by hand and were able to sit down for quick soup and sandwiches, but my daughter said it helped her understand the importance of staying on top of a task. 1. Make it easy. Kids won’t clean up if they have to sort through their toys to figure out where they go. It’s much easier if there are only three or four large baskets or a big toy box where everything goes. Use this time to teach them the importance of decluttering and only having toys they love. 2. Make it fun. Put on some fun music for your kids to sing along to while cleaning their room. ALL of my children love this–from my toddlers to my teens. Turn it into a game by seeing who can pick up their toys the faster or see how many toys you can put up in five minutes. Sometimes I’ll give them a bag and tell them whoever can pick up 5 pieces of trash, toys, etc., first wins the game. 3. Offer a reward for following the rules. For example, if your child cleans her room on time, without needing a reminder, offer a special treat or reward. Rewarding prompt attention to detail and jobs around the house also makes a great incentive for siblings to pitch in and do their best, too. 4. Establish a routine and stick with it. Routines and habits are important. 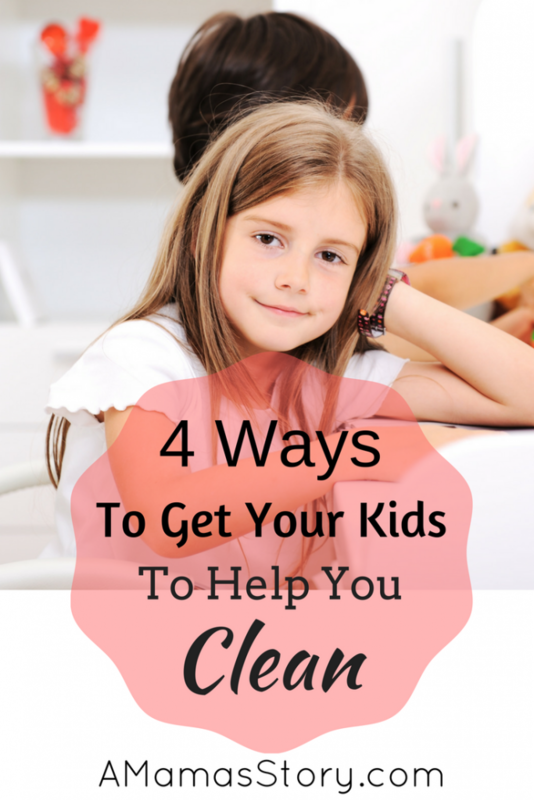 Have your kids clean up their room every day while you’re cooking dinner or a couple of hours before bedtime. This gives them plenty of time to follow their nightly routine and be ready when bedtime arrives. Follow through on whatever rules you put in place. For example, if you tell your child they can’t have computer time until their room is clean, mean what you say. If you don’t follow your own rules, they probably won’t take you seriously. Be consistent. What about you? How do you make doing chores fun? Kick out the toxins and have a more peaceful and orderly home. A simple 5 day series you can start immediately, teaching you how to declutter, get organized, and clean your home naturally. 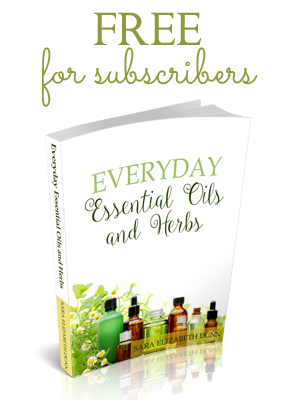 Sara Elizabeth is a Christian homeschooling mom to 7 and a Family Herbalist. Having both typical and special needs children, ranging from preschool through high school, she not only understands the unique challenges of teaching several children with different learning styles and abilities, she has experience balancing therapy schedules with family life. Her passions include sharing home remedies, homeschooling tips, encouraging mothers and most importantly, making it all less intimidating. Great ideas! As a mother of eight, I have used many of these techniques myself. Some I have not been so good about lately. Thanks for the reminders! I need the reminders every day. 🙂 And wow, with your experience, I bet you totally have some wisdom to share! Thanks so much for visiting. Probably the most important thing at my house is be more consistent! Wonderful ideas! I remember trying so many things and having to switch them up continually!